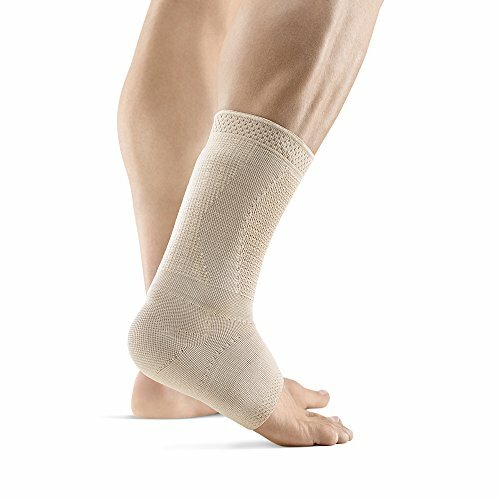 AchilloTrain Pro systematically counteracts irritation to the Achilles tendon through support and compression. The support promotes muscular stabilization whilst a shaped visco-elastic insert (pad) with two wings and nubs massages the muscle-tendon transition to reduce pain and swelling. A groove running down the middle of the pad helps to relieve swelling. Mobility is eased and assisted.